You see it all the time. A professional athlete develops Lateral Epicondylitis (Tennis Elbow). It's the same injury thousands of people get, yet the professional athlete is competing again in a matter of days or weeks while most people suffer for months on end. How can that be? The difference is that the general public take painkillers and just rest while the pro athlete takes more action. Professional athletes are using tools to help them heal quickly. And the reality is that anyone with Tennis Elbow can have that treatment too. 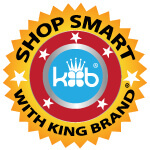 King Brand® makes those tools. We provide professional athletes with these tools, and we can provide them to you as well. Tennis Elbow and other forms of elbow tendonitis are some of the most persistent conditions many people are faced with. Whether it's due to a sudden trauma or the result of repetitive strain, once damaged, the elbow can be incredibly resistant to healing. Patients with Tennis Elbow rarely take the time necessary to rest their elbow so it can heal completely. For medical professionals it is impractical to expect the patient to not use an arm for weeks or months while the body heals itself. For the practical treatment of Elbow Tendonitis, a more proactive solution is required. 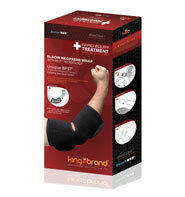 This solution is King Brand® Healthcare's ColdCure® and BFST® Elbow Wraps. Wear a ColdCure® Wrap to relieve your pain and swelling and protect your injury from further damage. Do a BFST® treatment first thing every morning, and again right before bed. Do 1 or 2 more BFST® treatments throughout the day. This will help you heal quickly. 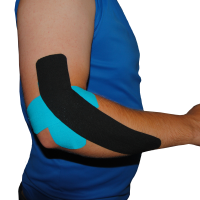 Avoid re-straining your elbow by using KB Support Tape. Giving your elbow a rest is hard, but it is very important in the early stages of healing. Do this and your Tennis Elbow can truly heal - Finally. You're Ready To Go With Free Express Shipping! When you entered our site, an Elbow ColdCure® medical device, an Elbow BFST® medical device and a roll of KB Support Tape were automatically put into your shopping cart. The items in your cart now are the three things you need to stop the pain and speed the healing of your painful Tennis Elbow. As a special online offer, you also receive Free Express Shipping on your order today. That means that you will be guaranteed to get your order within 1-2 business days. This is a huge savings as our express shipping is normally $20! You may go to the checkout at any time or please continue to learn more about treating Tennis Elbow by exploring our site. You can also find products to treat other injuries and ailments in our shop. Painkillers mask the pain and cause you to coninue to injure your elbow and slow down your healing. They don't do anything to address the underlying condition causing the pain. It's completely understandable that people need relief from the pain, so if you have to take painkillers, try to restrict them to times of rest. For example, you can use painkillers to help you sleep. Using them when you are active is a recipe for permanent damage. Tennis Elbow can be extremely painful and debilitating. Analgesics and NSAIDs such as ASA, acetaminophen or ibuprofen are often used to treat the pain but these drugs do nothing to treat the actual condition. In fact, Analgesics and NSAIDs are known blood thinners and make the bleeding worse for fresh tissue injuries. Typical pain medications actually interfere with the healing process. Cortisone injections are used in extreme cases but these too are intended to address the pain. They do not promote healing of the injury and they put you at a very high risk of further injury. During the day when you're active is the perfect time to use your ColdCure® Elbow Wrap from King Brand® Healthcare because it is specifically designed for treating Tennis Elbow related pain. It does a superior job of relieving pain and swelling without the use of drugs. This innovative wrap is incredibly soothing and protects your elbow from further injury. The pain killing element is actually incredibly powerful and it works instantly - there's no 20 minute wait like with pills. For dealing with the swelling and pain associated with Tennis Elbow, nothing works better than our cold compression wrap. ColdCure® technology works instantly. As soon as you put it on you feel incredible relief. This device is designed just for the elbow so it is a perfect fit, well targeted and extremely effective. ColdCure® therapy can be applied for extended periods of time, providing superior relief from the pain and swelling that comes with Tennis Elbow. Put it on and you will instantly feel relief and relaxation as it draws the pain and tension out of your elbow and body. You can use it at home or on the go and it feels wonderful the entire time you are wearing it. The ColdCure® Elbow Wrap is made entirely of very stretchy material. It wraps around your elbow and applies a very gentle pressure over the entire affected area. The wrap comes with 3 swappable cold packs of a very special design. They are soft and flexible and mold to the shape of your elbow, yet the gel inside them won't squeeze out of place. Use them 1 at a time, keeping the other 2 in the fridge or freezer so you can keep swapping them out as many times as you like. There's no need to take a break between treatments if you're using gel packs stored in the fridge. You can keep using them as long as you want the pain relief. Surgery for your Tennis Elbow should be a last resort. You should only consider surgery if rest and conservative treatment hasn't proven effective after 6-12 months. If you do undergo surgery for your Tennis Elbow, ColdCure® and BFST® Elbow Wraps are the ideal post-surgery treatment solution. Use the ColdCure® Elbow Wrap immediately following surgery to help with the pain and bring down the swelling. Once the swelling and inflammation is gone, start doing BFST® treatments to stimulate blood flow and accelerate the healing process. You don't have to wait for endless months in pain. You can heal much more quickly with the right treatment. For Tennis Elbow, blood flow is the most critical element in rapid recovery. Blood Flow Stimulation Therapy (BFST®) gives your elbow the blood flow it needs to heal quickly and completely. BFST® Wraps bring extra oxygen and nutrient-rich blood to the area - a requirement for the body to heal itself. Unfortunately, an injured elbow at rest often has restricted blood flow, which in turn limits the body's ability to heal. Physical activity will promote blood flow, but all too often it also results in small but frequent re-injury, which extends the healing time and greatly increases the amount of scar tissue that remains. With a King Brand® BFST® Tennis Elbow therapy device, blood flow can be stimulated in the injured area while you are at rest. With improved blood flow and without physical activity and the risk of re-injury, you can recover from your Tennis Elbow at a surprisingly rapid rate. BFST® stimulates blood flow through the elbow while you are at rest. This is very important, because while at rest, an unaided and inflamed elbow can otherwise have seriously impeded blood flow. It is the high-quality, healthy blood flow that enables the healing process, so adequate blood flow is required for the elbow tendons to heal properly and quickly. The device is very easy to use. Put it on, plug it in, turn it on and sit back and relax. Often people notice a slight tingling sensation and warmth deep in their elbow as the BFST® starts the blood flowing. The effects last up to 4 hours. So long after you're done your 20 minute treatment, the blood keeps flowing and your elbow keeps healing. The more you do it the longer it lasts and the healthier your elbow gets. Promotion of blood flow has obvious benefits. The reminder of the injury is incredibly important too, because avoiding re-injury is fundamental to rapid recovery. The BFST® device is designed to be worn even when turned off to help protect the elbow from re-injury, and this goes a long way towards shortening the recovery time. Patients enjoy the support BFST® Wraps provide and appreciate that they are healing - patients like wearing them, they know it's helping them heal. This positive attitude further contributes to an overall positive recovery plan. will work to relieve the pain and inflammation of your Tennis Elbow. This will take 2 to 10 days depending on the severity of the condition. Once your pain and swelling is gone, you can start using the BFST® Wrap. BFST® treatments will promote blood flow to your injured tendons in order to repair the damaged tissue. Treatments are simple: plug it in, turn it on and rest. Each treatment will take 20 minutes and the effects last 4 hours or more. The more times you treat each day, the more you promote blood flow and the faster you will heal. BFST® treatments promote healing of the underlying issue; they do not just mask the pain. It is simple to use and very effective. If you need extra support and protection for your elbow, apply KB Support Tape any time during your recovery. It's lightweight, comfortable, and keeps you moving and active all day long. It is also important to understand that rest is required in order to heal. If you strain your already injured elbow, this will only lengthen your recovery time and undo any healing you've done. Avoid re-injury by resting the affected elbow as much as possible. When you're not doing treatments with your BFST® or ColdCure® Wrap, your injured tissue becomes vulnerable to further damage. You don't want to re-injure your already fragile tissue and make your Tennis Elbow worse. 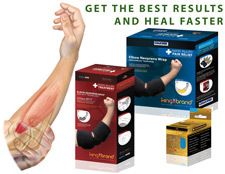 Apply KB Support Tape between your BFST® and ColdCure® treatments to provide support and protection for your elbow. Our skin is much more soft and elastic than the tissue underneath. You need to limit the movement of your skin in order to protect your tissue from re-injury. When you apply KB Support Tape to your elbow, it makes the skin over your injury much more rigid than usual. This rigidity reduces the movement of your skin and tissue, helping to prevent re-injury. 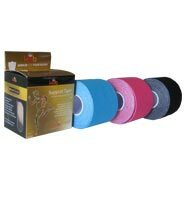 KB Support Tape provides your elbow with ongoing compression to relieve your swelling throughout the day. It also prevents re-injury by providing support and protection for your injured tissue. You can wear it during all of your daily activities and it won't get in the way. The Continuous Rolls of KB Support Tape are designed for people who want to get creative and customize their tape by cutting it into a variety of different shapes and sizes. Each box contains 1 Continuous Roll of KB Support Tape that is 2 inches wide and 16 feet long. We used 2 different colors of KB Support Tape in the above image to better illustrate how the Tape is applied for Tennis Elbow. You do not need 2 different colors of KB Support Tape in order to achieve this application. When you are recovering from Tennis Elbow, the pain ends long before your elbow finishes healing. In fact, the pain usually heals when your elbow has undergone less than 20% of the time for a complete recovery. The whole healing process is very complex. The key thing to remember is that long after the pain stops your elbow is still healing. Long after the pain stops you should continue giving yourself one to two BFST® treatments per day to continue working through the healing process. This can make the difference between having a lifetime of recurring problems or a chronically bad elbow in the future versus getting rid of the issue for good. Use your BFST® Wrap for a few months after the pain stops and you may never have elbow problems again. The purchase of every BFST® and ColdCure® Wrap comes with the free professional consulting services of our King Brand® Advisors. This will make a huge difference to your treatments and overall recovery. Our Advisors are extremely knowledgeable when it comes to Tennis Elbow. They are also thoroughly trained on BFST® and ColdCure® technology and treatments. 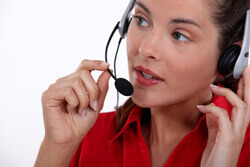 One of our helpful Advisors will contact you 2 or 3 days after your order has been delivered to answer any questions you may have and see how your treatments are going. They can even help you create a treatment regimen that works for you. While one of our Advisors will follow-up with you directly, you are welcome to contact us any time if you need treatment advice or guidance. Our Advisors are here to help you through every stage of your recovery. Their goal is to assist you in healing as quickly and completely as possible. Combination Therapy means combining ColdCure® and BFST® by alternating treatments, as well as using KB Support Tape between your treatments. Combination Therapy is much more effective than using just one product or the other. This is because you're getting both the pain and swelling relief of ColdCure®, the healing benefits of BFST®, and the protection and re-injury prevention of KB Support Tape. This results in the absolute best treatment for your Tennis Elbow. While your Tennis Elbow is healing, it's impossible to completely rest your elbow. We all have responsibilities and things that need to be done. Do your best to minimize re-injury, but when you do strain your elbow or do any extra activity, use your ColdCure® Wrap afterwards to reduce any swelling and pain that may result from the activity. Keeping the re-injury to a minimum is very important. If you know you are going to be active, do a BFST® treatment before the activity. BFST® treatments warm up the underlying tissue and lubricate the area with extra blood flow so you can reduce the amount of damage that you suffer from starting your activity cold. Any time you're not doing a ColdCure® or BFST® treatment, wear KB Support Tape on your elbow. If you're taping and doing multiple BFST® treatments throughout the day, do your first BFST® treatment before the Tape is applied and your last treatment after the Tape is removed at the end of the day. When you have pain and/or swelling, use ColdCure®. Before you are active and as many times as you can throughout the day, use BFST®. Between your ColdCure® and BFST® treatments, apply KB Support Tape to your elbow. With the right combination of treatments you can keep your suffering to a minimum and maximize the rate of healing. Always remember that there are Treatment Advisors that are more than happy to help you through your healing process. Give us a call any time! 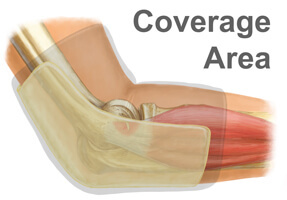 The ColdCure® Elbow Wrap is an FDA registered Class I medical device. This medical grade cold compression wrap is designed for home use. Doctors prescribe ColdCure® Wraps as standard treatment of pain and inflammation. When used correctly, a ColdCure® Wrap applied to Tennis Elbow immediately reduces the risk of further damage from excessive swelling. This swelling can be in the muscles, ligaments, tendons, or tendon sheaths within the elbow. Doctors and Therapists agree that controlling swelling is a fundamental part of reducing long term permanent damage as a result of a soft tissue injury. The ColdCure® Wrap exceeds all government and health agency regulatory requirements for cold therapy specifically for use in soft tissue injuries. For the last 100 years, healthcare workers, athletes and physical therapists were trained that RICE - Rest, Ice, Compression, Elevation - is the formula to follow when treating a soft tissue injury. The truth is that it is possible to be too cold to treat soft tissue injuries. The proper solution is RCCE® - Rest, Cold, Compression, Elevation. We want to apply cold that is just above freezing. Yes, you want cold - and lots of it - but not so cold that it is below the freezing point of water. The problem with ice and other freezer-based substitutes (such as the blue ice pack) is that they can freeze the skin, causing "cold burns". Ice substitutes are even more dangerous if you are using it enough that it numbs the nerves and you don't feel the permanent damage that you are doing to the underlying tissue. That is not the case with XC RigiGel®. Store XC RigiGel® packs in the freezer and use them like freezer packs. ColdCure® XC RigiGel® packs quickly go to the melting point of ice and then stay there for a long time. They stay the coldest possible to relieve pain - without the risk of damaging your skin. Even at the coldest freezer temperature, XC RigiGel® remains flexible. It truly is ice that bends like rubber - they retain all their flex and form regardless of temperature. This means you always get a perfect fit. The XC RigiGel® conforms perfectly to your elbow for maximum effect. Despite the name, XC RigiGel® is not like other gels. It does not flow out of place. No matter how hard you press on the gel, it gives a bit for comfort, but stays in place so the cold stays over top of your injury, even under pressure. Keeping the pressure and cold on the injured area of your elbow is critical for effective relief of pain and swelling. The ColdCure® Elbow Wrap comes with 3 large cold packs, allowing for extended treatment durations. XC RigiGel® packs contain 10x more gel per lb than other products. This means you get complete coverage of your injury. Despite the size of our gel packs, they're never bulky, so your treatments are always comfortable. When stored in the freezer, our XC RigiGel® packs have 3x more cooling power per lb than standard gel packs. This means they stay cold longer so you won't have to swap the gels as often. Longer treatment times and more cold power means better control of pain and swelling. This all results in an overall colder and more effective treatment. Gel packs are notorious for having hot and cold spots. Our XC RigiGel® packs distribute the cold energy evenly throughout the pack. When cold pressure is applied to the elbow, gel starts to warm up in that specific spot faster than the rest of the gel. The cold energy in our gel packs is transferred from the cold spots to the warm spots much more effectively. This is a valuable improvement as your hot, swollen injury will receive the cooling power of the entire gel pack. The temperature balancing power of these gel packs is unmatched. XC RigiGel® packs have 2 different colored sides: a white side and a gold side. Both sides will give you all the same benefits that our high performance XC RigiGel® has to offer. The gel pack can be inserted inside the wrap with the white side facing towards your elbow or away from your elbow since the gel pack is not side specific. 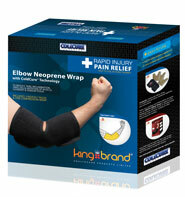 ColdCure® Elbow gel packs are enclosed in a soft, comfortable neoprene wrap. The gel pack is specifically designed for the shape of the elbow, providing maximum coverage of the tendons below the skin. We do not use one common gel pack in all our wraps - the elbow is shaped very differently from any other body part and each body part deserves a custom designed pack if it's going to work the best. No other wrap in the world has specifically designed cold packs for each and every part of the body. The wrap molds the cold pack around the entire elbow to ensure that there is an even distribution of cooling power over the entire injured area. This product has in every way been designed to be 100% a Tennis Elbow treatment device. The BFST® Elbow Wrap is an FDA registered Class II medical device. Class II devices are serious medical devices with very high standards of quality, performance, and safety. Class II medical devices have hundreds of pages of regulations and standards to keep you safe and ensure effective treatments. This is a medical device, not a 'consumer good', but it is available to the public to buy and use at home. The Blood Flow Stimulation Therapy Wrap is designed to promote blood flow in injured tissue below the dermal (fat and skin) layer. Utilizing our patented Energy Web®, specially controlled EMR energy envelops the entire elbow and stimulates blood flow in the soft tissue deep beneath the skin. The resulting stimulation brings oxygen and nutrient-rich blood to the injured area, accelerating the healing process. Treatments require only 20 minutes, but the immediate effects last for about 4 hours. BFST® works exactly like exercise. BFST® is exercise for your circulatory system. So, like exercise, there is little benefit in giving yourself 2 treatments one after the other, but there is lots to gain from regular treatments. In fact, just like exercise, the more regularly you give yourself BFST® treatments, the more healthy your circulatory system becomes. And a healthy circulatory system benefits your elbow all day long. The more days you exercise for, the stronger your circulation becomes. If you work out for weeks or months you notice a big difference. Similarly, if you use BFST® for weeks or months there will be a big difference. The BFST® Elbow Wrap has 3 different power settings, so you can continue to increase the power of your treatments as your Tennis Elbow heals. During your first treatment, your elbow may feel quite warm. This is because your circulation is poor at first. The more you use the device, the less warming sensation you will feel. This is good. As the warmth lessens from treatment to treatment, this is an indication that the circulation in your elbow is improving. Better circulation means more blood flow all the time, not just during treatments. This is the goal. When you feel very little warmth during a treatment, it is time to move up to the next power level. Don't rush it though, more heat does not mean better treatment. In fact, less heat means better treatment, so take your time moving up in levels. Heating pads are not the same as BFST® Wraps. Heating pads are only consumer grade products, not high quality medical devices like BFST® Wraps. They also don't have the ability to heal soft tissue injuries like BFST® Wraps can. 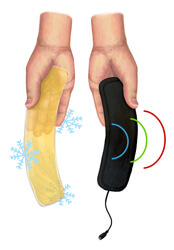 Heating pads only heat the surface of the skin, while BFST® devices actually stimulate blood flow deep below your skin to actively heal soft tissue damage. Heating the surface of the skin does nothing to heal the damaged tissue below the dermal (fat & skin) layer. BFST® treatments promote healthy blood flow to the area of your injury, creating an ideal environment for healing. Heating pads can't do this. The Energy Web® of the Tennis Elbow BFST® device is enclosed in a soft, comfortable neoprene wrap. 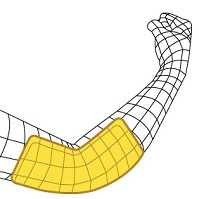 The wrap shapes the Energy Web® to mold around the complex form of the elbow to ensure that there is an even distribution of energy over the entire injured area. The wrap is opened and closed using attached Velcro® straps that guarantee a perfect fit. The wrap and unwrap design also allows for easy application to a tender, injured elbow. After treatment, the wrap does not need to be removed. The straps can be further tightened to provide snug support and protection for the injured elbow. The device disconnects at the wrap from the power supply and controller so you are free to move around your home when not receiving treatment, while still wearing the wrap for support and comfort. The device is incredibly comfortable to wear. Detailed instructions come with every unit. Avoid using the BFST® Wrap until your inflammation and swelling has subsided. Always start your BFST® treatments on Level 1. More power does not mean better treatment. If you run the unit so that you feel a lot of warmth you will increase blood flow at the skin surface and this will actually reduce the effectiveness of the treatment - surface heat makes it harder for the energy to get past the thick layer of blood at the skin surface. For maximum benefit, please take into consideration that each 20 minute treatment stimulates your blood circulation for an average of 4 hours. We recommend 3-4 treatments daily, spread throughout the day. Two treatments close together are not as effective as 2 treatments spread out by several hours. During the day, do a BFST® treatment every 4 hours or before any type of physical activity. This can include anything that puts strain on the injured area (lifting a heavy load, reaching above your shoulders, etc). This can also be used for preventative measures after a full recovery to optimize your blood flow. Even long after you have healed, using BFST® can keep your circulation in top form and your elbow healthy. Regular use can reduce the chance of future injuries. Do a ColdCure® treatment any time you experience a pain flare-up or after any physical activity to prevent further injury and reduce swelling and inflammation. Allow as much time as possible between ColdCure® and BFST® treatments. This time will allow the blood flow and body temperature to regulate again. Refrain from using ColdCure® within the 4 hours following your 20 minute BFST® treatment. This will counteract the treatment. If necessary, use the ColdCure® Wrap for pain control, then follow up with another BFST® treatment. If you have questions, please call us. We have extensive call-in hours and our King Brand® Advisors spend all day every day talking to people about treating their injuries. We can help you understand the best treatment options for you! Note from KB WebMaster - The text below is primarily intended to assist with Google properly classifying this page content. To learn more about our products please visit our website.<br>Tennis elbow injuries plague many people. A bad tennis elbow injury causes tennis elbow pain. There are many symptoms of tennis elbow pain caused by tennis elbow injuries. A sore tennis elbow can be helped with tennis elbow exercises although tennis elbow exercises won't cure all tennis elbow injuries. Some tennis elbow injuries require surgery. This heals the injured tennis elbow but the pain in your tennis elbow after surgery can be severe. The best tennis elbow injury treatment is BFST. The best tennis elbow pain treatment is coldcure. Treatment for a tennis elbow injury will cause your tennis elbow pain to improve and your tennis elbow injury to heal. There's no doubt that to heal tennis elbow injuries quickly you need BFST treatments. Coldcure will help with tennis elbow pain. You can cure tennis elbow pain and a tennis elbow injury with BFST and coldcure technology. So, if you want to heal your injured tennis elbow quickly, you need BFST. If you want to treat tennis elbow pain you need coldcure. tennis elbow injury symptoms are tennis elbow pain and swelling. As far as tennis elbow remedies go, BFST and ColdCure are exactly what you need. These wraps are incredible. They feel comfortable. They work.